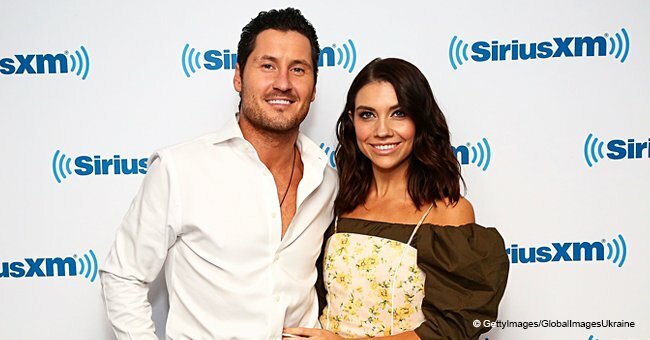 "Dancing with the Stars" Val Chmerkovskiy and Jenna Johnson have recently tied the knot in front of around 200 guests in a very private and beautiful ceremony. The famous couple said "I do" on Saturday, April 13, 2019, at the Terranea Resort in Rancho Palo Verdes, California, with a gorgeous view of the ocean serving as background. Johnson couldn't help but share the amazing news with her fans and followers on Instagram by posting a photo of herself and Chmerkovskiy in their wedding outfits. It has been reported that the DSWT dancers exchanged vows surrounded by complex floral arrangements, which were designed from scratch by Shawna Yamamoto Floral & Event Design. The ceremony was fully decorated with white ivory, candles of varying heights, some gold touches and greenery. According to the Bride, she wanted a "classic, pure white look with some greenery." 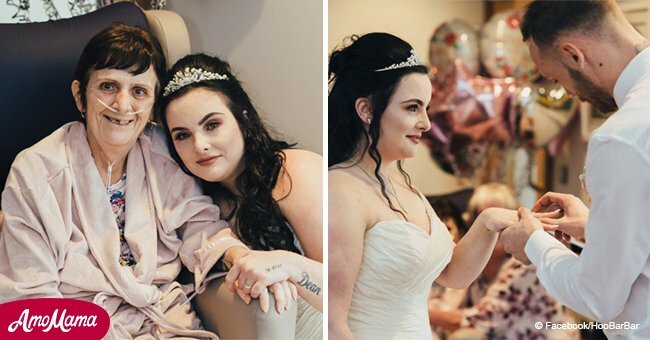 The 25-year-old chose a long-sleeved Vera Wang gown, which she matched with a crystal stoned headpiece, as well as a Bridal Styles Boutique veil. As for the groom, he opted for a black velvet tuxedo created by Brooks Brothers. Chmerkovskiy wore the same ensemble through the special day, but for the reception, Johnson changed into a white dress specially designed by Kleinfeld. 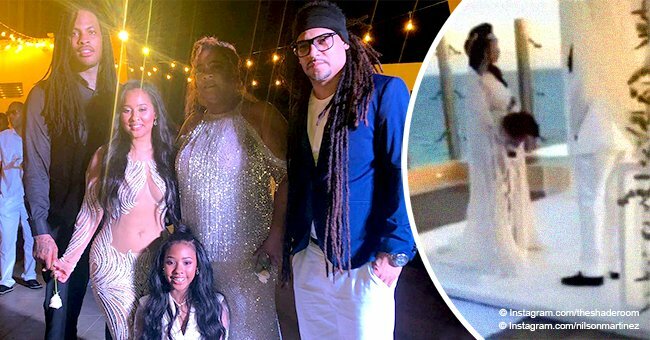 Among those invited to the wedding were Adam Rippon, Lindsay Arnold, Gabby Diaz, Cheryl Burke, Brandon Armstrong, Sasha Farber, Emma Slater, Nikki Bella and Alfonso Ribeiro. Chmerkovskiy's brother, Maks Chmerkovskiy, didn't miss the ceremony and played the role of best man and witnessed the happy couple share their first dance to Édith Piaf's "La Vie En Rose." The 33-year-old proposed to Johnson last summer in Venice, Italy, and days before the ceremony, Johnson took to her Instagram to give the world a little sneak-peek. The dancer posted a photo of herself trying on a wedding dress at a store, although she warned her fans that the gown was not the one she had chosen. Still, it was more than enough to get people to leave congratulatory messages, as well as compliments, telling her how beautiful she looked and what other dresses, such as Rosa Clara's Lori, she could try.